The Mayor of London has launched a new £38 million fund for community led housing with the aim of getting Londoners to play a leading role in building new social rented and other genuinely affordable homes. 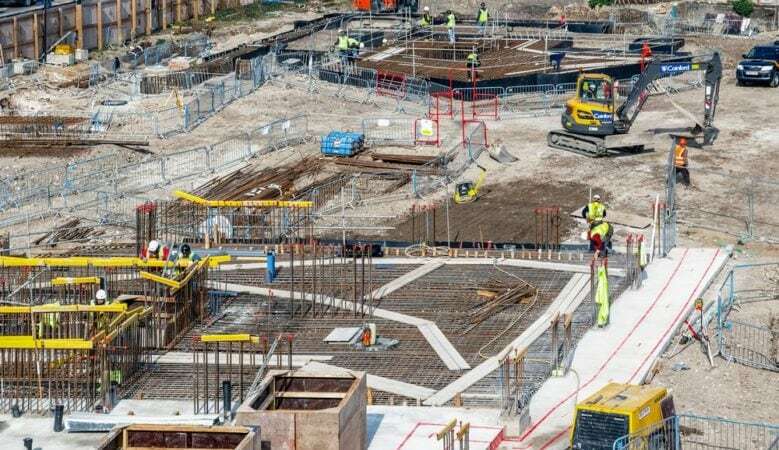 The number of small builders nationally who deliver fewer than 100 homes has halved over the last 10 years and Sadiq Khan said that believes that this trend needs to change in order to help tackle the capital’s housing crisis. He pointed out that community led housing allows local residents to get directly involved in building and managing new homes themselves, often through co-operatives and community land trusts. The new London Community Housing Fund is expected to unlock 500 community led homes by 2023 and will make grants or loans available to support building, development, and delivery. Some of the funding will also be allocated to provide financial help for potential costs such as submitting planning applications or design fees. The fund is now open for bids and a new prospectus has been published online by City Hall providing guidance for community groups who wish to bid, and advice for Londoners who wish to form such a group. Communities wishing to develop their own homes can also contact the London Community-Led Housing Hub, for information and advice, funding, and technical support. The Mayor is already making small plots of publicly owned land more accessible to London’s small and medium sized builders, including community led housing groups, through a simplified bidding process with standardised legal contracts. The new fund, won from central Government as a result of Khan’s lobbying, is seen as significant progress towards his target of identifying a pipeline of schemes for 1,000 community led homes in London by 2021. ‘In London we have become far too reliant on large developers to build new housing. We need more homes to be built by councils and by communities themselves and so I want to support more community led housing projects that put London residents at the heart of the process,’ said Khan. ‘We have listened to what community led housing groups say they need, and in response this new fund offers practical support and help with development costs that have often held community-led projects back. I urge Londoners interested in developing their own homes to read our new guidance and bid for funding,’ he added. Mother Joyce, a community led housing campaigner with London Citizens’, welcomed the move. ‘We think it’s fantastic that the Mayor is supporting groups like ours that want to do our bit to build the genuinely and permanently affordable homes that Londoners need. This funding will make a big difference,’ she explained. The new fund builds on the Mayor’s previous support for the community-led housing sector, including funding the London Community Led Housing Hub last year with CDS Co-operatives, nine boroughs and the City of London, and the allocation of two small Transport for London small sites in Tower Hamlets and Lambeth to London Community Land Trust. In October he gave almost £1 million grant funding to the Rural Urban Synthesis Society, a Lewisham-based Community Land Trust, to help it deliver 33 social rented and other genuinely affordable homes for local residents and workers. Linda Wallace, chief executive of CDS Co-operatives, said that the new fund is the most significant investment in community led housing in a generation. ‘By investing in flexible and high quality early stage support for groups, local authorities, landowners and smaller developers, including London’s smaller housing associations, alongside capital grants, we believe the Mayor’s fund will make a lasting difference to the diversity and quality of affordable homes in our city,’ she pointed out. According to Levent Kerimol, director of the London Community Led Housing Hub, the support is vital to the many community led housing projects gearing up to create more successful developments across London. ‘We’re excited to be working with the GLA to help empower communities and residents and make community led housing a consistent part of a diverse London housing market. We’re focused on building capacity at the early stages and helping create opportunities for CLH to achieve this,’ he said.